This page is about the German fighter Ta 152 H-1. For the other version, see Ta 152 C-3. 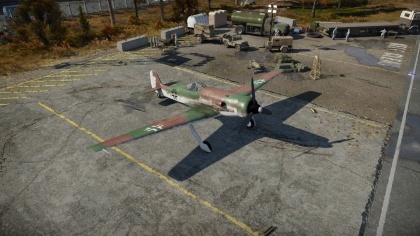 The Ta 152 H-1 is a rank IV German fighter with a battle rating of 6.3 (AB) and 5.7 (RB/SB). It has been in the game since the start of the Open Beta Test prior to Update 1.27. The Ta-152 H-1 is a designated high altitude fighter with a great wing area and good manoeuvrability, unlike its heavier brethren the Ta 152 C-3. Fly high, preferably at >10 km (32000 ft) since the engine is more effective at those altitudes. There is a noticeable change above 3800 m where the engine starts providing more power however it is generally not sufficient to make the plane superior to the aircraft it generally fights, so do not rely on it. Most players use this aircraft as a "Boom and Zoom" although it is possible to dogfight with aircraft that have at least one disadvantage (e.g. P-51 - lower roll rate at low speeds and climb rate above 4000 m relative to the Ta 152) so tactics vary. Not advisable to tackle more than one enemy at once. 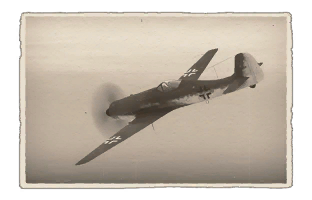 Do not dogfight Russian FW 190 D premium, or the Bearcat as there is practically nothing you can do. 30 mm cannon usually obliterates enemies upon impact. 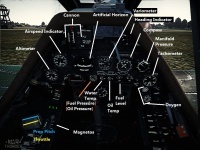 Stable in all axis (joystick). Unstable when ~400km/h and turn(mouse aim). Can out-climb the P-51 D at high altitude. Good performance above 7000 m.
30 mm cannon is low-velocity, making it hard to hit. Has a tendency to snap roll viciously. Somewhat slow on low to medium altitude. Poor wing lift to weight ratio, and hence poor turning ability, equal to Tempest Mk.V. Poor parasite drag to thrust ratio, meaning a lot of energy is lost in diving attacks. This page was last edited on 14 April 2019, at 19:52.